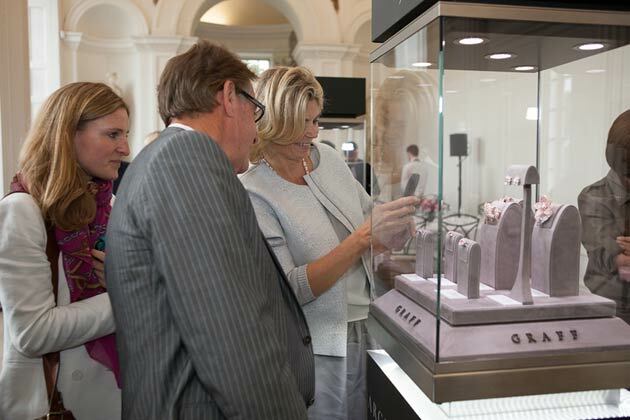 Maserati was proud to collaborate with Argyle Pink Diamonds as it hosted a very special exhibition at Kensington Palace, London, to showcase an exquisite collection of Argyle pink diamond jewellery fit for royalty. The exhibition, titled Out of the Vault – Pink Diamonds and Royalty, was held at the stunning venue The Orangery at Kensington Palace. A selection of eleven international jewellers showcased their most striking pieces of Argyle pink diamond jewellery, many of which were on display for the very first time. This year the United Kingdom finds itself in a remarkable period of its history as Her Majesty the Queen becomes only the second monarch in British history to celebrate 60 years on the throne. In 1952, the year of her coronation, the Queen had a solitaire pink diamond gifted to her (The Williamson Pink) which was set in the centre of a flower spray brooch created by Cartier. Argyle Diamonds therefore considered it fitting in this Jubilee year, to celebrate here in London the special relationship that rare pink diamonds have played, and continue to play, in royal occasions. 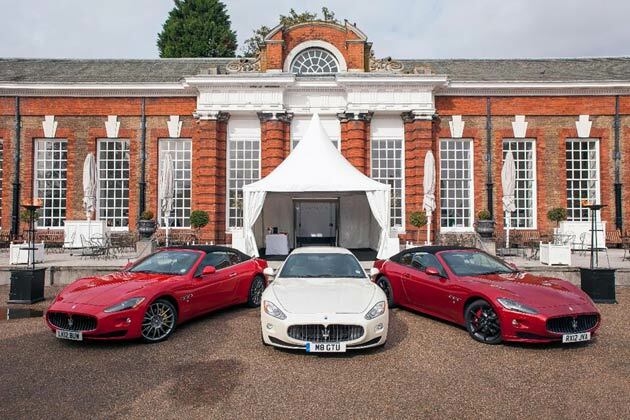 Maserati had the pleasure of supporting such an extraordinary event by chauffeuring guests to and from the magnificent venue throughout the day. As darkness fell The Orangery looked even more spectacular as pink lighting illuminated the outside and glistened against the Maseratis on display.